Christmas Merry Making! New Merry Christmas Junk Book Kit, rubber stamps, collage sheets, and more on the website today! 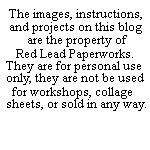 Here is the link to the Junk Book Kit - Merry Christmas Junk Book Kit Here is the link to the Rubber Stamps - Christmas Rubber Stamps. We have a brand new easy to make ornament kit! Make 4 holiday ornaments with this brand new wood ornament kit! The kit has a 4 natural wood ornaments that are 2-1/2" x 3", a new Christmas Collage Sheet that has 20 circles for you to punch out and 4 clear jumbo epoxy dots that fit the collage sheet images that are 1-3/4" circles. Lots of festive paper circles, a natural wood snowflake, a natural wood star, gems, gold & silver stars, and red ribbon are included in the kit. New Mixed Media Nature Art made with our new An Autumn Forest + And the Song of a Bird nature rubber stamps. New Nature Rubber Stamps and A Free Give Thanks Rubber Stamp with Your $25.00 Order! And the Song of A Bird Rubber Stamp - Make beautiful mixed media bird art with these rubber stamps. Plus receive a beautiful Give Thanks Rubber Stamp with your $25.00 product purchase - while supplies last - one free stamp per customer.